What do you want to be known for? How do you want to be remembered? Are you in business just for the financial reward or do you want to create something bigger than yourself? We all want to be “successful,” yet success is a very broad term. If we don’t define what success means for us, then we’ll follow other people’s definition and create outcomes that may or may not be meaningful for us. I believe what most people want in life is “fulfillment” – when we are fulfilled, we feel a sense of accomplishment. Money just becomes the by-product. There was a point in my life when I was super focused on the money. Don’t get me wrong, money is important. But it’s not my main focus anymore because it doesn’t give me a lasting sense of joy. In recent years, I have started to turn my attention to building a legacy, which has become the driving force behind everything that I do. After coaching numerous spa owners and estheticians to help them build their businesses, my mission is to elevate the professional beauty industry world through leadership and business education got stronger. The Beauty Business Summit was born out of a vision to bring together amazing industry leaders to share their genius and truths so beauty professionals could learn and grow. When I started to put that vision on paper, (in my case, hundreds of Google docs!) I got very clear about the outcome of the Summit and how that connects to my legacy. Because of that, the Beauty Business Summit turned into something way bigger than myself. The amazing attendees made the Summit take on a life of its own! They created this “high vibration” full of positivity and love for one another. My intention was to create a safe learning environment so hearts would open and feel the love. Open to receive the glorious gifts meant specifically for them through a speaker’s message, a casual conversation, or a hug. I wanted to make an attendee go, “Wow” because they felt the collective energy vibrating on a positive level. I wanted attendees to feel energized, united, and willing to step outside their comfort zone together. 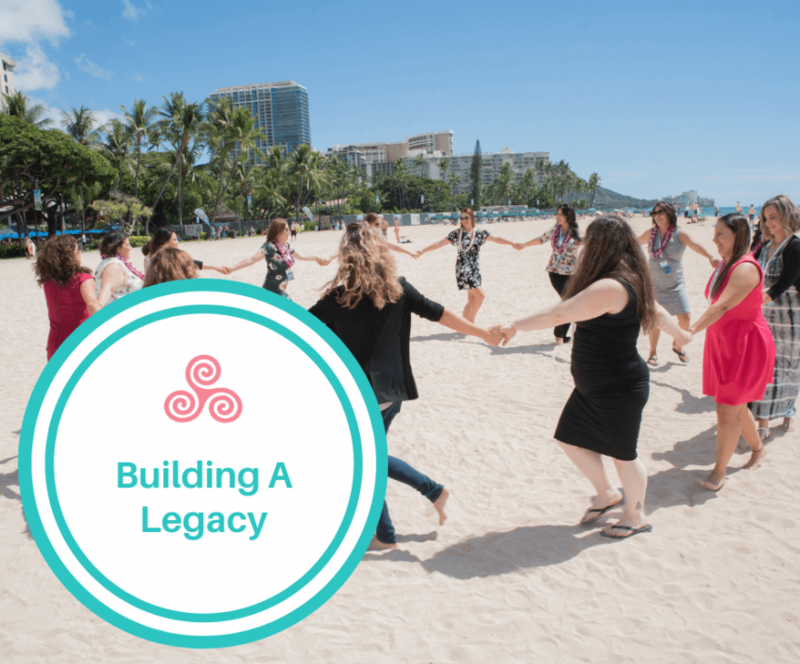 The Summit happened by a simple shift in focus to building a legacy. In doing so, attendees left feeling inspired and Paris Beauty College went home with a $10,000 grant. I still get emails, texts, and messages from attendees pleading to have the same feel at the 2019 Summit in Clearwater, Florida. It’s my mission to make the 2019 Beauty Business Summit even better. Can I raise the vibration any higher? I’m sure going to try! “Thank you, Maxine, for having the courage to do something that hasn’t been done and letting me be a part of it. Thank you to the people who invested in coming and brought such loving energy as well as open minds and hearts ready to receive what they needed. When you shift your focus from just “making money” to “building a legacy”, a transformation will start to happen. Your actions will change and become more aligned with your “life-work”. I invite you to take a deep look at your own legacy. What is the driving force behind what you do? What will your big life achievement be? What will you leave behind? Once you have discovered what that is, be willing to put in a laser-like focus to bring your vision to life. Get your dose of business and leadership inspiration in a loving environment by attending the Beauty Business Summit.